Aluminized Fiberglass Cloth | GarCo Manufacturing Co., Inc.
18.5-oz Aluminized Fiberglass Cloth (0.001-in Foil). 48-in and 58-in widths. 22-oz Aluminized Fiberglass Cloth (Mylar Film). 40-in width. 24-oz Aluminized Fiberglass Cloth (Mylar Film). 36-in width. 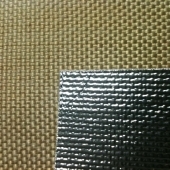 35-oz Aluminized Fiberglass Cloth (0.001-in Foil). 40-in width. 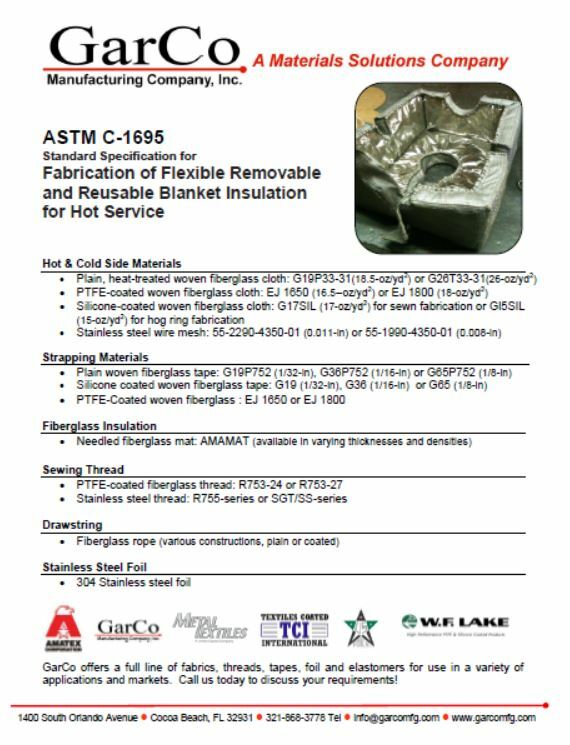 This entry was posted on August 31, 2015 by GarCoMfg in Amatex, ASTM C-1695, Fiberglass, Insulation, Textiles, Woven and tagged Aluminized, Amatex, Amatex Broad Cloth, ASTM C-1695, Cloth, Fiberglass, insulation, Textiles.